Picture of three casts of dinosaurs. The fossil casting on the left is a Protoceratops andrewsi of the Late Cretaceous Period (85-80 mya) found in Mongolia. The cast in the middle is a Psittacosaurus sp. of the Early Cretaceous Period (115-100 mya) also found in Mongolia. 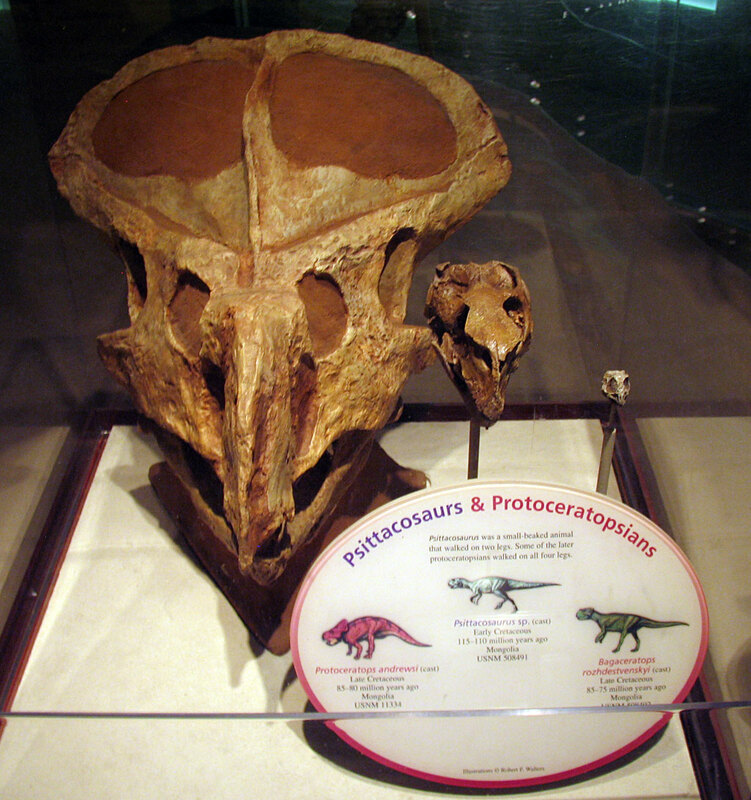 The small skull cast on the right is a Bagaceratops rozhdestvenskyi of the Late Cretaceous Period (85-75 mya) again from Mongolia. This display was photographed at the Smithsonian National Museum of Natural History in Washington D.C. (August 2010). The description on the sign reads "Psittacosaurus was a small-beaked animal that walked on two legs. Some of the later protoceratopsians walked on all four legs."